If you’ve followed hip-hop to some degree, you will remember “The Message” by Grandmaster Flash and the Furious Five. This single, released in 1982, was the first rap song to go platinum and it did so in about a month. Remember the hook,“Don’t push me ‘cuz I’m close to the edge. I’m tryin’ not to lose my head. It’s like a jungle; sometimes it makes me wonder how I keep from goin’ under”? What was unique about this song is that, though in its infancy, hip-hop was being used to call awareness to depravity and its pervasive effect on social structures. Quickly, America saw that hip-hop was not only about juvenile rebellion, but a platform to voice concerns about serious issues. It is still being used that way, only this time it’s being used to address some all too important truths concerning the Christian faith, particularly the ecclesiological aspects or the study of the church. For some, church is nothing more than a chance to leverage business opportunities. For others, it is a place to widen social circles without any true desire to function as God’s redeemed community. Still others really don’t have a biblical understanding of what church or other essential truths of Christianity are. Scripture tells us in Ephesians 3:10 that through the church, God makes His wisdom known!!! Selah ! Enter Lampmode Recordings and their latest release, The Church: Called & Collected to remind us of this unchanging truth. Taking its cue from Mark Dever’s book, “What Is A Healthy Church?”, Lampmode and other artists address topics such as biblical theology, evangelism, church discipline, conversion and expositional preaching. I highly encourage you to pick this album up at Lampmode Recordings or iTunes. You never thought that hip hop would take it this far! How many of you have heard people say, “You don’t have to go to church to be a Christian” as an attempt to justify their lack of church attendance? If you’re like me, you’ve heard that too many times that you care to remember. In a very limited sense, however, it’s true. Obviously we know regeneration and justification don’t require church attendance. But church identification, attendance and participation is one tangible and visible fruit of genuine conversion. Perhaps, one of the most humbling realities of the church is that it is meant to display the wisdom of God to the angelic realm. How glorious is this?!?! Listen to the inspired words of the Apostle Paul. The church is a living & eternal apologetic of the multifaceted redemptive grace of God!! The visible church is the fruit of the gospel! The angelic realm is being taught more about God through the redemption of rebels. The heavenly angels, experientially, know nothing about redeeming grace. The fallen angels are reminded of their defeat. Remember, the angels longed to look into these things. (1 Peter 1:12) When the church is functioning as it should, we are displaying the wisdom and glory of God and that Jesus didn’t die in vain. May we consider our calling! 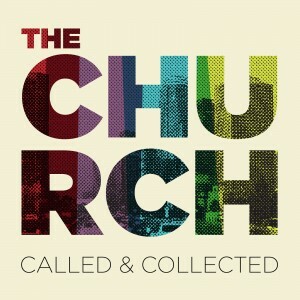 Coming June 8, 2010 – The Church: Called & Collected from Lampmode Recordings. Check out the promo video featuring Mark Dever of Capitol Hill Baptist Church & IX Marks Ministries.